[Updated 2/22/19, 2:14 pm ET. See below.] The blockchain and cryptocurrency industry has produced a lot of hype, but it is still working to deliver practical applications that are widely used by businesses. 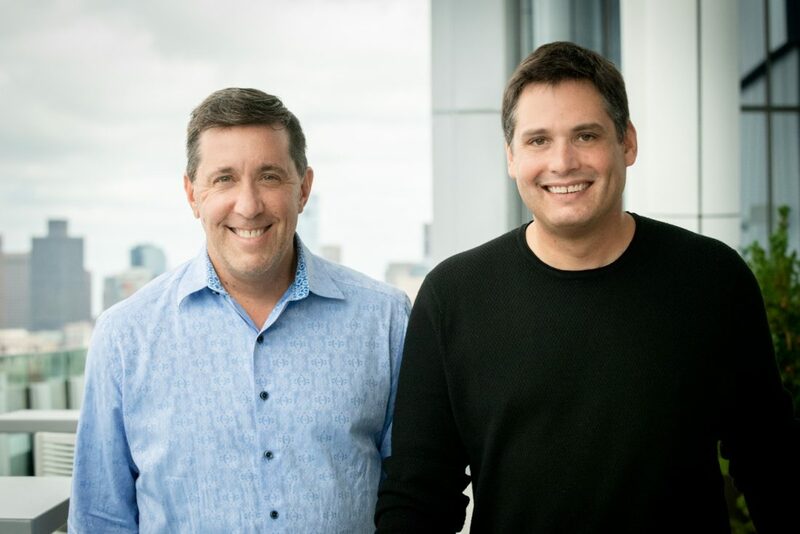 Algorand also notably announced that it has brought on former Fuze chief executive Steve Kokinos as its CEO, and former LogMeIn chief marketing officer Sean Ford as its chief operating officer. The executive hires signal that the startup’s backers think the company is ready to make a commercial push with its blockchain technology, co-developed by Algorand co-founder Silvio Micali, an MIT computer engineering professor and cryptographer who has won the prestigious A.M. Turing Award. Algorand is developing its own digital currency and a blockchain-based transactions system that Kokinos says is currently being tested with a private network of early users. The company plans to publicly launch its products early next year, he says. “Our effort is going to be to continue to make this blockchain practically applicable for mainstream businesses and their users,” Ford says. It’s a goal that big corporations are also working toward, focusing on areas such as tracking the food supply chain (an effort between IBM, Walmart, and others) and enticing hedge funds and other financial firms to invest in cryptocurrencies (a goal of a new venture from Fidelity Investments). But there’s a lot of work ahead. A Gartner survey in May found that few companies are currently investing in and deploying blockchain technologies, and a Forrester report from last November predicted that some businesses’ blockchain projects would be scaled back or even halted this year. Kokinos declined to comment on competitors, but it seems like Algorand’s blockchain platform might compete in some ways with Ethereum and Dfinity, for example, both of which are developing blockchain-based networks to run a variety of software applications. Another trend Algorand fits into is the increasing buzz around creating a more “decentralized” Internet, as tech giants such as Google and Facebook face mounting criticism over the ways they accumulate and use individuals’ personal data. Blockchain advocates believe the technology could play a role in the decentralization effort. Others are taking different approaches. Tim Berners-Lee, inventor of the World Wide Web, recently co-founded a Boston-area startup called Inrupt that aims to use standard Web tools to give individual users more control over where their personal information gets stored and who or what can access and use it. Kokinos says he thinks the work of firms such as Algorand and Inrupt could reinforce each other “to a certain extent.” Indeed, Inrupt CEO John Bruce told Xconomy there are already efforts underway to combine blockchain technologies with the open-source software tools Inrupt is using. A more pressing task for Algorand is figuring out the right strategy to make money. Kokinos declined to comment on the company’s ideas for generating revenue, but he admits that Algorand’s business model will be “fundamentally different” than what he and Ford experienced with their previous companies.